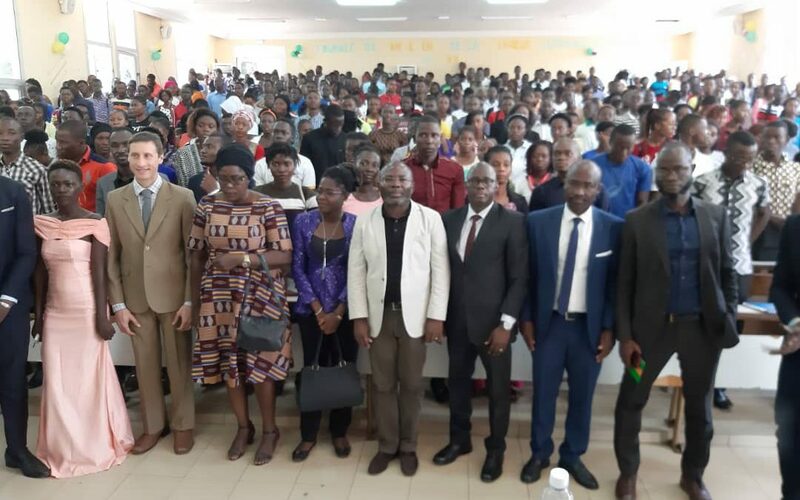 The Université Alassane Ouattara in Bouaké, Côte d’Ivoire, has launched the first ever university legal clinic in the country – and one of the first in Francophone Africa. In partnership with ACA, the Groupe de recherce et de plaidoyer sur les industries extractives (GRPIE), the Réseau des Cliniques Juridiques Francophones (RCJF), and the Association des Femmes Juristes de Côte d’Ivoire, the Bouaké clinic will help communities affected by extractive industries seek justice and find legal redress for human rights and environmental abuse. Clinical legal education is a complement to traditional instruction at law schools, in which students put their classroom-learned skills to work by collaborating with external partners on actual cases, for real clients, and then reflect on the experience with faculty. At the same time, clinical students help to fill the justice gap, providing legal services to poor and marginalized populations that can’t normally afford a lawyer. While clinics have been common in the United States since the 1960s and 70s, when they were an important part of the legal fight for civil rights, there are few university clinics in the Francophone world. The Boauké clinic – a part of a new Masters Program in the legal profession – is the brainchild of M. Adama Yéo, a member of the National Human Rights Commission of Côte d’Ivoire and a professor at the university, and Prof. Silué Nanga, the Dean of the Law Faculty. Students will receive practical training in public interest law skills – interviewing, fact-finding, drafting, and argumentation – from university faculty and skilled clinical practitioners from the Association des Femmes Juristes de Côte d’Ivoire, which operates a legal aid bureau in Bouaké. They will work with GRPIE to apply those lessons in a real-life setting: the villages surrounding Bondoukou, where communities are facing environmental destruction and constructive eviction by an Indian manganese mining company. ACA will provide technical support, developing curricula and materials and helping to connect the clinic to other innovative learning initiatives in Africa and elsewhere.